ROTRA 2019 - everything about road transport. Save the date for the May event! 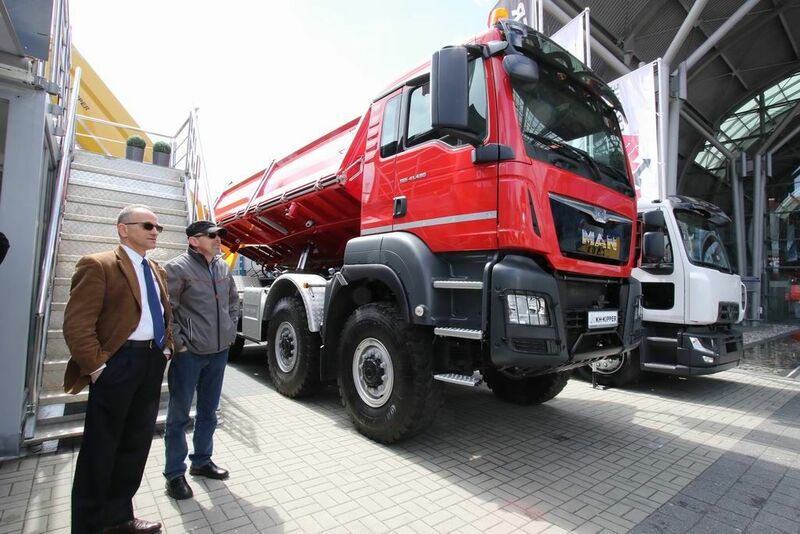 The 11th International Fair of Road Transport - Commercial Vehicles ROTRA is held in Targi Kielce from 14 to 16 May 2019; the event has been crafted for utility vehicles market producers’ ever-growing demand and clients’ needs. Each ROTRA showcases a wide range of possibilities - this is the road transport business-sector’s one stop shop. This elevenths expo is the display of state-of-the-art trucks and lorries, vans, semi-trailers, trailers, tow trucks, tractors, dump truck car bodies, estate cars, utility and special vehicles as well as necessary equipment. The exhibition guests are also given the chance to make use of technical advisory services as well as to be familiarised with logistics and forwarding centres' and diagnostic facilities' offers. The "Kielce road construction holiday" exhibitions cluster held last year used 30,000 square meters of the exhibition space and brought together over 400 exhibitors from 20 countries from all corners of the world. The three days’ expos: ROTRA. AUTOSTRADA-POLSKA and MASZBUD hosted nearly 10,000 industry insiders visiting the Targi Kielce’s shows.